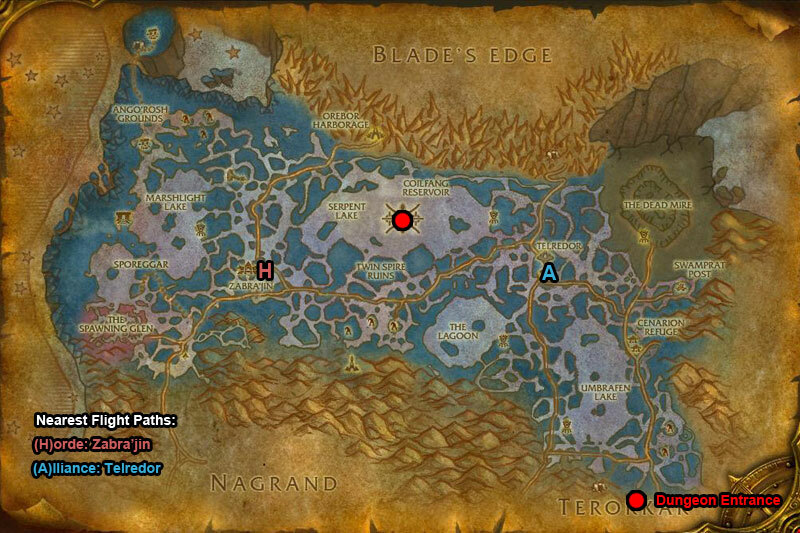 You can find The Slave Pens dungeon within Zangarmarsh, Outland. /i Uses Lightning Bolt. Earthgrab Totem roots players. Stoneskin Totem reduces bosses melee damage taken by 50%. Healing Ward Heals him & lasts 30 sec. Nova Totem does fire damage to all nearby when destroyed or after 18 sec. /i Attacks a player with Grievous Wound dealing damage & healing. Slows a players melee & casting speed by 50%. Throws bolts of water inflicting frost damage to all nearby. Goes into Frenzy. /i Deals ticking nature damage to all nearby. Sprays acid at a player & deals extra nature damage to all in front. Knocks back a player with Uppercut. Uses Cleave on a player inflicting damage to them & all nearby.